If you're planning a trip to Israel, there are a number of things you should avoid doing. Let's start with the easy ones: Do not confuse the Via Dolorosa with Via Veneto. Do not try out your Krav Maga moves on the customs officials at Ben-Gurion Airport. Do not look for camels at the airport (and don't smoke them there, either). Do not look for olive oil on the Mount of Olives. Also: Do not get baptized in the Jordan River just because it's hot out. Do not pet the jellyfish. Do not toss your cat into the Dead Sea to see if puss floats. But then there are the less obvious do-nots...like not paying for an overpriced (and maybe overrated) hotel room in Tel Aviv, and more. 1. Do not take the Snake Path up to the top of Masada in summer without a truckload of water. Masada is the desert mountaintop fortress that was the scene of the epic last resistance of the Zealots, an ancient Jewish sect, to the Romans in 73 A.D. Though it's difficult to tell from the bottom, there are many impressive ruins atop the 1,300-foot peak. You can hike up the Snake Path to the top of Masada, but the cable car is a lot more fun and, when summer temperatures soar, a far more comfortable option as well. 2. Do not look for whales at the Wailing Wall. 3. Do not make the mistake of thinking you MUST stay in a certain hotel because everyone says it's the place to be. These days, the instant a new hotel sees the light of day, legions of travel writers rush forward to proclaim it the new "must": but the fact that they're paid (or paid off) to praise it might have something to do with that. Remember that many of the newer trendy hotels in pricey Tel Aviv have tiny rooms or other features that make them, if not awful, then certainly less fantastic than the hype would have you believe. Spend your shekels where you'll get the most for them. 4. Do not believe that the only thing to eat in Israel is hummus and falafel. Of course, there are many fabulous hummus joints and falafel spots in Israel, but the moveable feast doesn't stop there. One of the best restaurants you'll find anywhere is in Jerusalem. And check out Tel Aviv's hot tables, too. 5. Do not feel guilty if you don't see everything in Israel in one week. 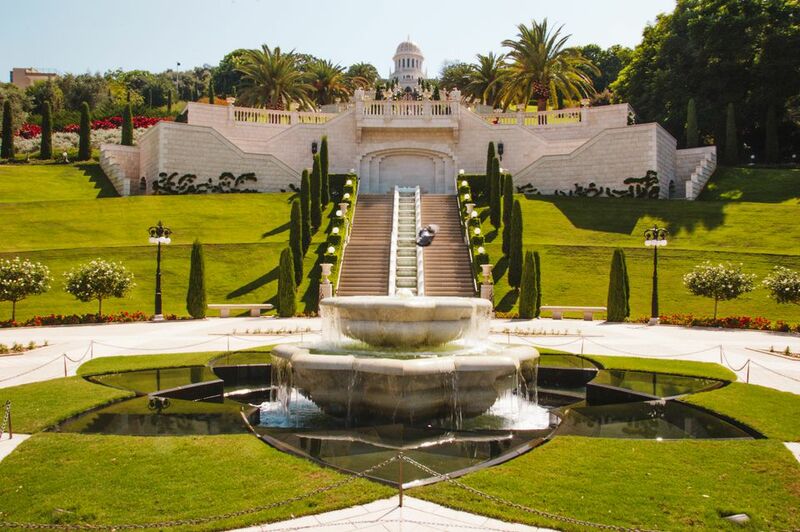 Seven days in Israel might not be enough to take in all of Israel's historical, cultural and culinary pleasures. If you're enticed by the beach and nightlife of Tel Aviv, Israel's Mediterranean metropolis, focus on that city. If history and holy sites are more important for you, consider basing yourself in Jerusalem. But, if you're feeling more ambitious, it is possible to see many of Israel's top sights in one week. 6. Definitely do not feel guilty if you don't visit a single museum. But if you do want to explore culture, remember that Israel does have an incredible array of museums. 7. Don't think that all you can buy in Israel is a ceramic menorah. True, you can actually buy some pretty incredible menorahs as well as other articles of Judaica in Israel, and the museum gift shops in Tel Aviv and Jerusalem are great places to start. But there are myriad other shopping opportunities, particularly in Jerusalem and Tel Aviv, from designer fashions to gourmet products and more. 8. Do not settle for the first price offered on anything when at the Shuk HaCarmel market in Tel Aviv or Mahane Yehuda market in Jerusalem. We're talking the opposite of Walmart here. At these famous (and touristy) marketplaces, bargaining is the name of the game. 9. Do not go looking for a hamburger on Yom Kippur. Not everyone keeps kosher in Israel, to be sure, but on major Jewish holidays, you will notice some big differences between American and Israeli dining habits. Don't try too hard to feast on a holy fast day, or find a pizza at Passover. 10. Do not ask your hotel concierge where to buy a Christmas tree. 11. Do not wonder aloud if Jesus Christ was secretly a lesbian trapped in a hippie zombie's body. Unless of course, it's Gay Pride Week in Tel Aviv.